This is the best opportunity you will have to see, experience, ask questions and learn about your home. You are welcome to follow me throughout the complete inspection and ask questions, take pictures and notes. The goal of the inspection process is establishing your comfort level with your home purchase. A first time home buyer will bring different questions than the seventh time buyer who will bring different questions than the investor. Homes have been my hobby since the fifth grade and after performing several thousand private, independent home inspections in the Atlanta area since 1995, if I can not answer a question, I know who can. If you choose to follow me on your inspection, please dress comfortably with closed-toed shoes and long pants – stylish heels and a skirt will not make it up the attic stairs. You have already completed the hard part – you have a contract on your home. To prepare for the inspection, recall items that concern you when you purchase a home. Are the attic area, the crawlspace and their access open? Is the extra refrigerator in the garage blocking the electric panel? Do personal items block rarely used doors or views of foundation walls? Does your crystal sun-catcher block the kitchen window from opening? Follow the Golden Rule, prepare for your home to be inspected the way you hope your new home will be prepared for you. 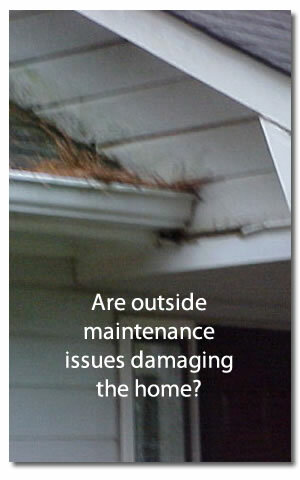 Please feel free to ask me any question about home maintenance or improvement, by phone or e-mail. Also consider me your source of realistic information for “the latest cause/concern/fury/paranoia/sales-pitch” (examples: asbestos, radon, lead, mold, synthetic stucco, twenty five year paint, fifty year caulking, power roof ventilation, closed vs. open crawlspaces, etc.). Maybe you’ve had enough questions and it is time for a Maintenance Inspection. Find out more on the Services page. Building & Environmental Inspection, Testing, Diagnosis, Repair, & Problem Prevention Advice: In-depth research & advice on diagnosing, testing, correcting, & preventing building defects & indoor environmental hazards. “Through the years, John has earned my confidence and my recommendation. He has performed many inspections for my clients plus my Grandmother’s home and my personal home.